Ideal for sweeping heavier outdoor dirt and debris on rough and uneven surfaces such as asphalt and concrete. 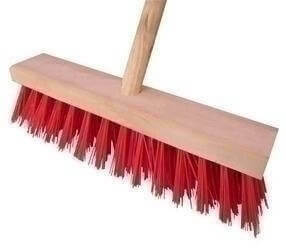 Synthetic fiberused in this broom is oil, solvent, and moisture resistant, which adds to the durability of this broom. Broom is sold ready to assemble with an industrial quality.